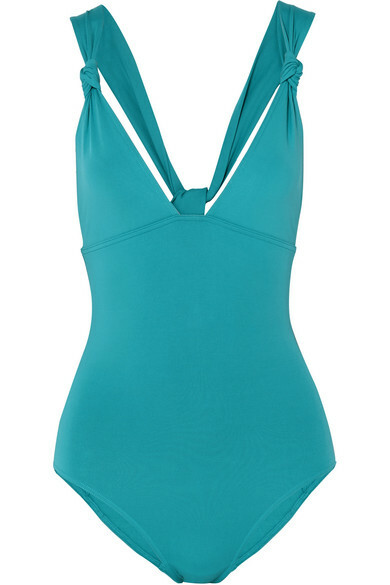 The turquoise hue of Eres' 'Poker Prime' swimsuit will look so picturesque in poolside vacation snaps. 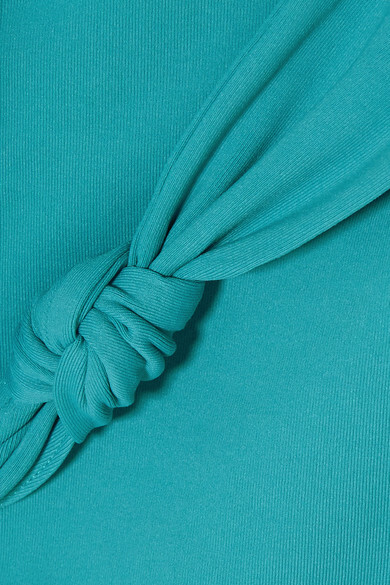 It's made from the brand's peau douce fabric that's coveted for the way it flatters and keeps its shape. The knotted straps meet at the back in an elegant V-shape, so a few over-the-shoulder poses won't go amiss. Wear it with: Dolce & Gabbana Sunglasses.